Leslie ”Mike” Hancock, of Bradenton, died Dec. 5, 2006. He was born in Cincinnati, Ohio, Dec. 9, 1946. He was the only child of Leslie F. Hancock, and Marcella C. (Dessauer) Hancock. At the age of 12, Mike Hancock began a lifelong journey in the martial arts. His training took him around the world, and lifted him to a prestigious level in the world of Budo. Known to many as an expert, Mike Hancock never felt he trained enough. ”No amount of training is ever enough”, he would say to his students. 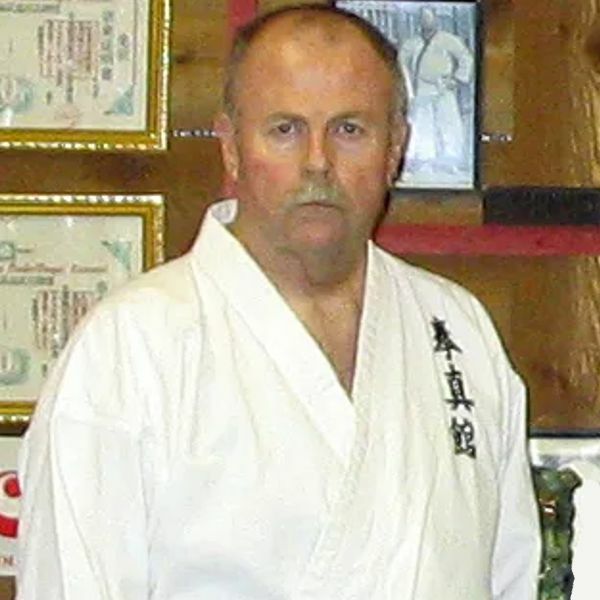 Mike was a Master, and guided thousands people through the ranks of Okinawan Karate, Jiu-Jitsu, Kobudo, and Iaido. Mike graduated Norwood High School, and then attended the Ohio College of Applied Science. At the age of 20, he attended the Dayton Ohio Police Academy, and became a police officer. 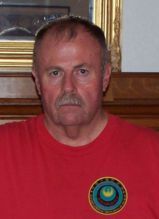 He served for nine years with the Miamisburg Ohio Police Department. In 1974, he moved to Bradenton, Florida, to be closer to his parents; and took a job with the Longboat Key Police Department. He also began teaching at the Manatee Area Vo-Tech Police Academy; where he taught defensive tactics, firearms, pursuit driving, as well as traffic stops, accident investigation, and crowd control. And recently, with the inclusion of pepper spray in the basic training, many young cadets had the pleasure of being ”sprayed” by him. In 1985, he left Longboat Key for a year, and worked for the Manatee County Sheriff’s Office. Missing the BTT, he returned to Longboat. He served with Longboat Key as the only motorcycle officer until 1999, when he retired. In 1999, he joined the Bradenton Beach Police Department’s Auxiliary. He was honored as a Special Deputy for the Manatee County Sheriff’s Office, and an officer with the U.S Customs Service Blue Lightning Task Force. He is survived by his loving wife of 28 years, Amy, of Bradenton; devoted daughter, Shelly, and her husband Dave Patrick, of Candler, N.C. Mike was the proud father of son, Douglas K Hancock, who attends college in Orlando. Also survived by a precious granddaughter, Claire Marcella Patrick, his little bear; as well as loyal friends, Lt. Col Matthew C. Molineux USAF, Major James Gifford, USAF, Andrew Glenn, Sandy Brown, and hundreds of brother and sister officers and humble students. He will be sorely missed forever. A memorial service was held at 11:00a.m., on Monday, Dec. 11, at the Trinity United Methodist Church, 3200 Manatee Ave, W., Bradenton. A reception took place after the service at the Fraternal Order of Police Manatee Lodge #70, with a light lunch served, located at 1825 11th St. W., Bradenton. In lieu of flowers the family asked that donations be made to the Fraternal Order of Police, at the above address. Donations were sent to the attention of Kent Dodd, in honor of Mike Hancock. Shannon Funeral Home, Town Chapel, was in charge of arraignments.